I hope to make things a bit prettier, dream a little, and just have fun. From book illustrations to textile and graphic design—Céleste Wallaert is bursting with talent. Women from across the globe form the empowering subjects of her diverse illustrations. Her work emphasises the beauty, power, and versatility of her muses through rich colours and varied patterns—a modern ode to the grace of femininity. 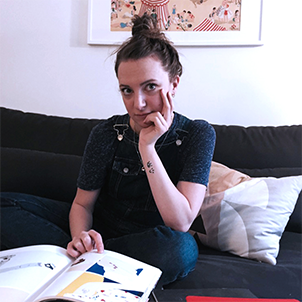 Céleste calls Paris home, where she works as a textile designer alongside undertaking various freelance projects.